Yup. Still neglecting the blog. But not really neglecting the layout. 1. Lighting. While the room lighting hasn’t changed (it’s still quite bright fluorescent at 6500K temperature), I have installed all the lighting for the lower decks. It’s all LED strip lights, stuck to narrow strips of white coroplast, and dependent on how deep the deck is determined whether I lit with one strip or two. I also needed to power the many many meters of LED’s, and wasn’t terribly interested in using cheaper power supplies from China due to the noisy fans. 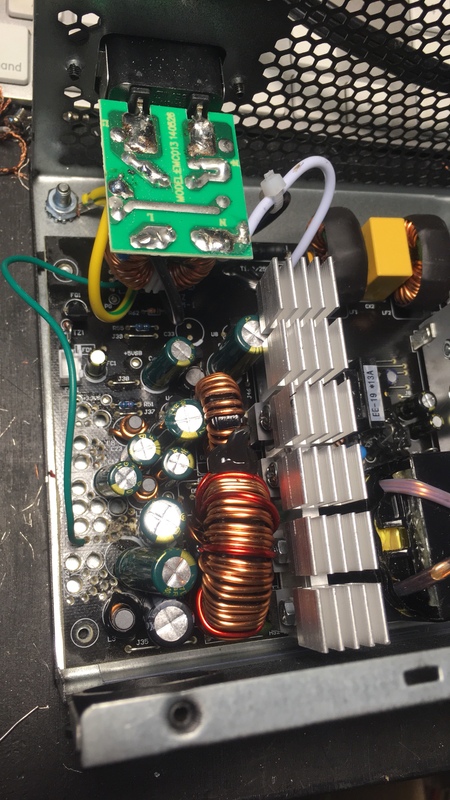 I also happened to have a spare 625W ATX computer power supply kicking around not doing much so I decided to pop the cover, unsolder the loom of wire off the main board and then hook up some beefy wire to a terminal strip on the outside, where I connected the bus wire coming from the LED’s. Not coincidentally, the power supplies are located near the rest of the electronics, primarily because that’s a central point for everything. I did realize rather quickly however that the one power supply was not going to be enough. Another supply, this time 700W was purchased and similarly modified. At this point, Cam and I wondered it if wouldn’t be a bad idea to actually put these two power supplies on their own dedicated circuit in the breaker panel since they were going to be drawing so many amps….I figured it would be a good idea and had a spare breaker but no desire to bust open drywall to install the wire for it. I made some inquiries and found armored cable could be mounted on the surface and legally used, so we acquired more than a few meters of 14/2 BX, a surface mount box and a couple of switched receptacles, and had the entire shebang installed in an afternoon. Further work and testing proved all was good. 2. 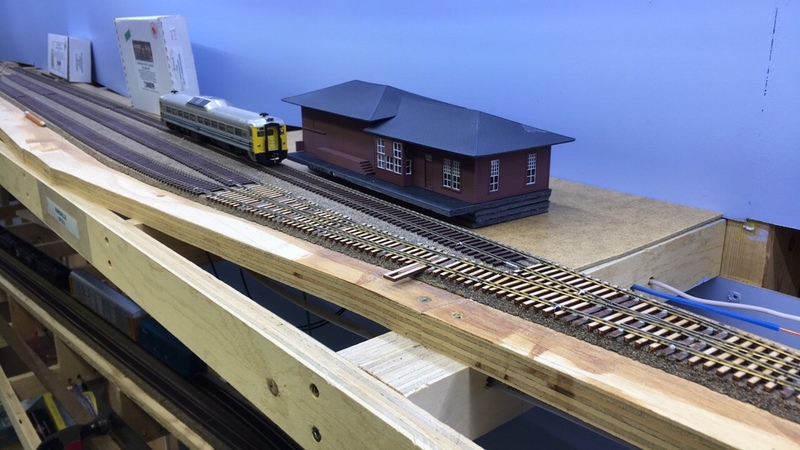 The ballast spur near Mud Bay siding has been removed. We’re now moving towards scenery and it was getting kinda awkward with how it was going to be done that far back, what with the half-loops of track behind there. Besides, the ballast for the island was typically loaded out at Fiddick’s pit, south of Nanaimo. So, Cam and I removed the entire shebang. 3. I’ve had a few ops sessions, and for the most part, they’ve gone really well. 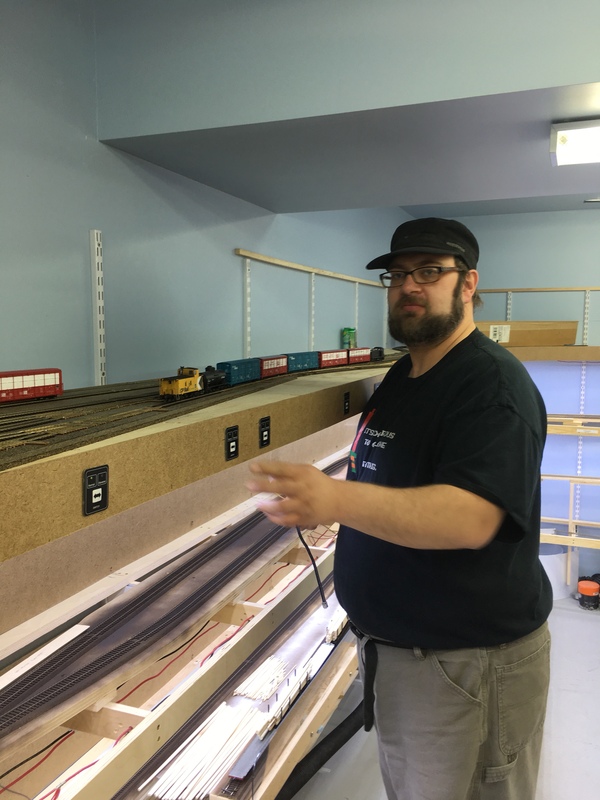 One of them was for the guys from Rapido Trains, which included Jason, Dan and other Dan. Oh yeah, and Dan Hamilton was in on it too. 4. 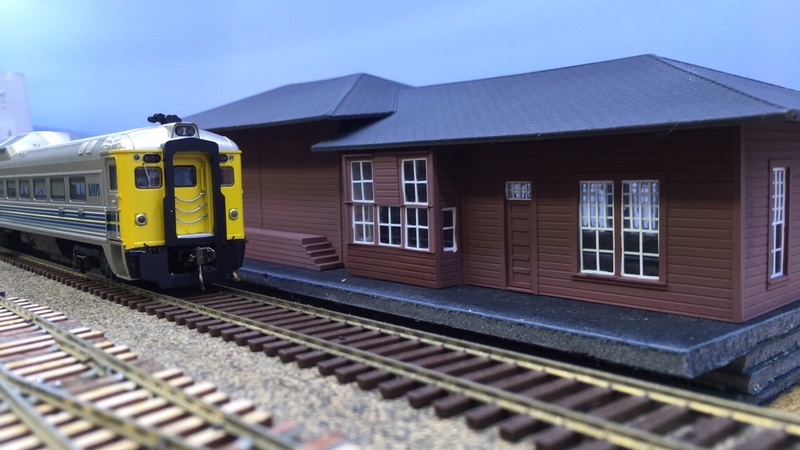 I built Parksville Station. 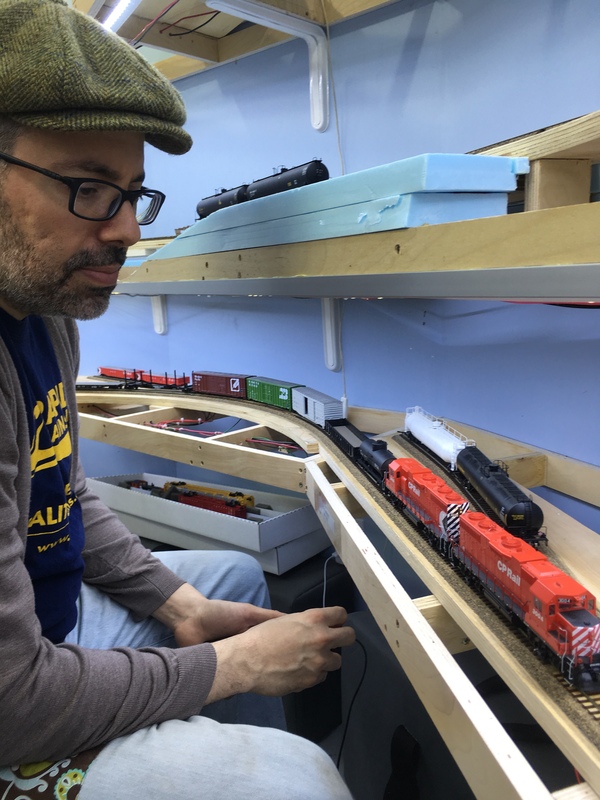 Many and huge thanks to David Bedard for providing the tips, assistance, and overall inspiration to build it! I still need to build a foundation to sit it on, plus a walkway and platform at some point…(plus everything else there!) I’m really happy with this one. 5. 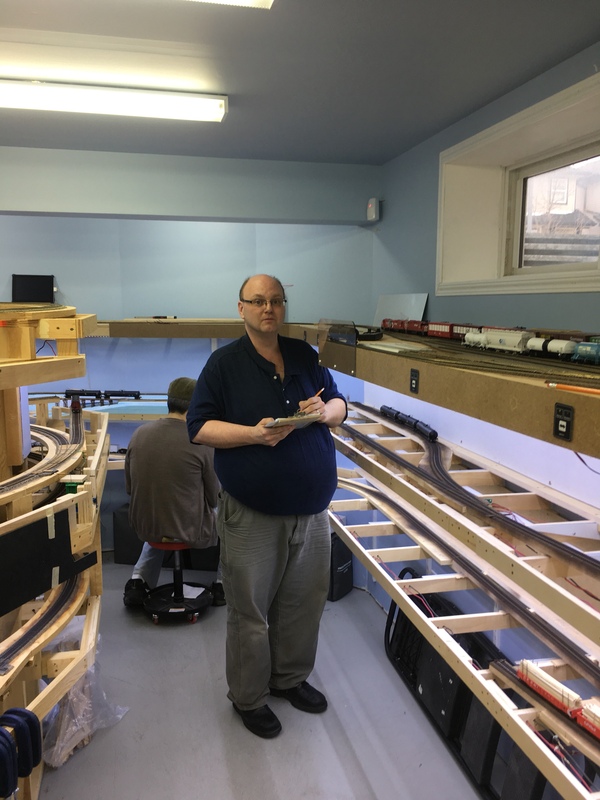 Speaking of David…he’s decided to change locations for his layout and as a result, all the structures plus the magnificent boats he scratchbuilt are going away. 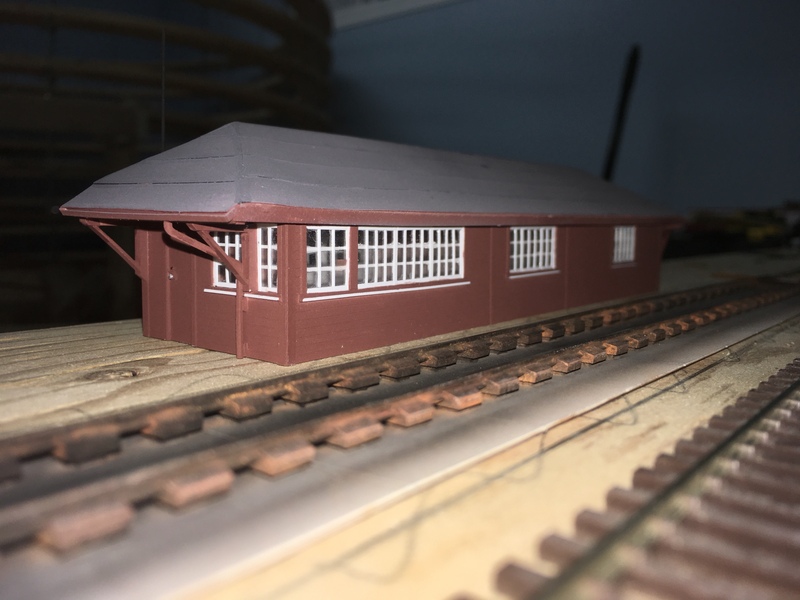 I bought the Wellcox Scale House (complete with scale track) plus a couple of the shelters which I’ll put to use on the layout and spent a bit of time quite recently installing. The crossover beside the scale track is also brand new to Wellcox and was just finished this afternoon. 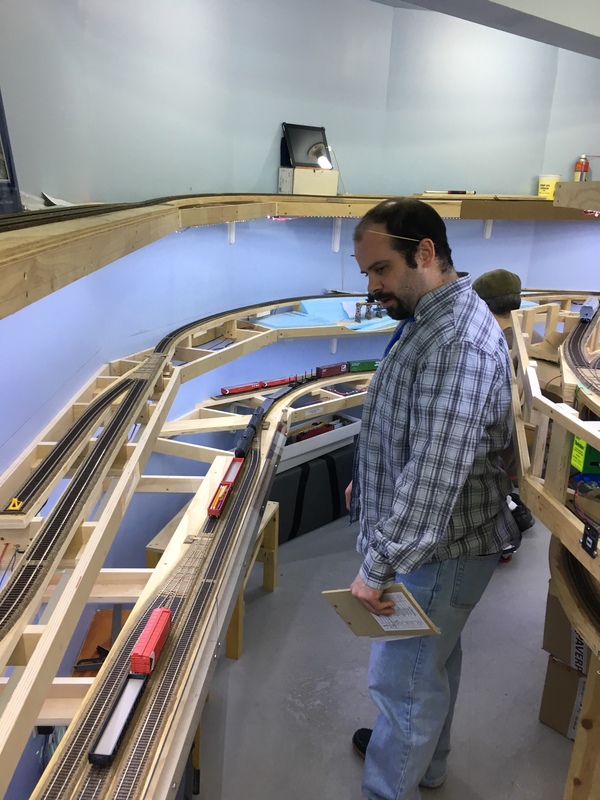 But now that I’m retired from the SUPERTRAIN Committee, I’m looking forward to putting more time into the layout. And maybe…just maybe I’ll also update the blog a little more frequently too. This entry was posted on June 3, 2018. It was filed under Unassigned. Wow- I hadn’t checked in a while (well, after 2 years of no updates…). I’m sure Supertrain is sad to see you go, but at some point we all have to decide what is more important…or at least make a change to allow someone else the fun (?) of organizing events. I just found your blog. 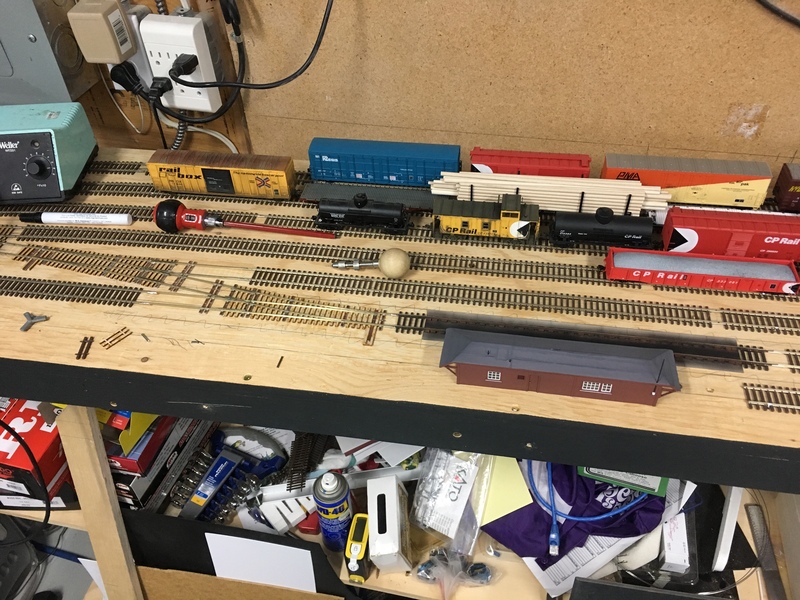 Looks like a great layout. I like the simple narrow benchwork. I found your trackplan, but could not find your deck heights. What are the heights of each deck? Thanks Keith for the kind words. The deck heights vary somewhat around the layout, accounting for grades and helicies, thus why I haven’t posted those. Any specific spots from the photos you’d like measurements from?